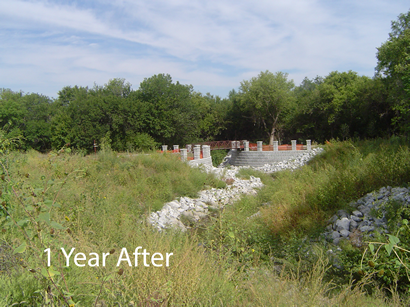 The Beal Slough project was a channel stabilization and restoration along 3,500 feet of deeply incised, urban stream located on park property in the city of Lincoln, Nebraska. 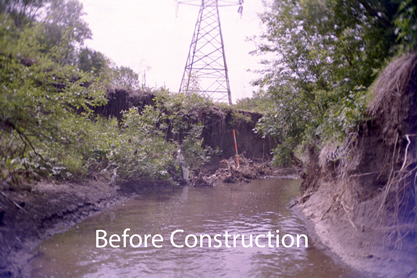 Channel erosion was threatening the Nebraska State Highway 2 bridge, a Burlington Northern Railroad Bridge, a Lincoln Electric System Company high-tension power distribution tower, and the pedestrian and bicycle trail network in several locations, including two pedestrian bridges. 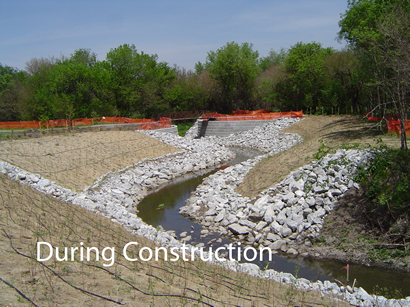 Intuition & Logic was responsible for the geomorphic analysis and design of extensive channel restoration. 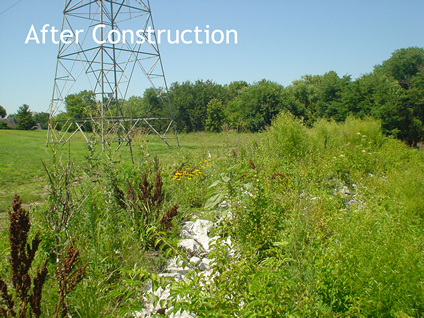 This included channel reconfiguration and relocation and to ensure the protection of the distribution tower for Lincoln Electric Systems Company as well as the 1,800 square feet of heavy block retaining wall protecting the pedestrian trail bridge. The design to protect the retaining wall and pedestrian bridge was unique in that a nautilus shape was used. This shape gradually draws the flow in upstream of the bridge and provides an energy drop through sudden expansion downstream. Construction was completed in the summer of 2005.